From premium performance to head-turning style, the new Mercedes-Benz CLA 45 AMG does it all, and it’s on sale now at an entirely accessible price point at Mercedes-Benz Burlington. 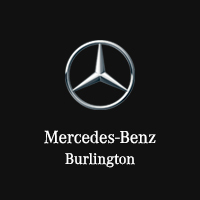 Get in touch with our team to set up a test drive and experience for yourself just how powerful this luxury vehicle is. We’re sure it will deliver thrills as you cruise around Milton and Hamilton! Performance is the name of the game with the new Mercedes-Benz CLA 45 AMG. It runs on a one-of-a-kind, handcrafted 2.0L four-cylinder engine paired with a seven-speed AMG SPEEDSHIFT dual-clutch transmission, which combine to generate a robust 375 hp and 350 lb-ft of torque and propel the model forward to 60 mph in 4.2 seconds. Plus, there are additional performance upgrades in store on the latest Mercedes-Benz CLA 45 AMG. That’s not to mention its sleek design boasting a wide grille, seductive details, and LED tail lamps, making this luxury model one that is certain to stun when you hit the road.